My great-grandparents lived first at 411, then at 417, Downey. I have a picture of my grandfather, perhaps 6-8 years old, standing in front of the home with his sister and mother. On the back is written “411 Downey.” Once married, my grandparents lived at 425 Downey. My mother was born in 1916 at 411 Downey; it’s written in her baby book. 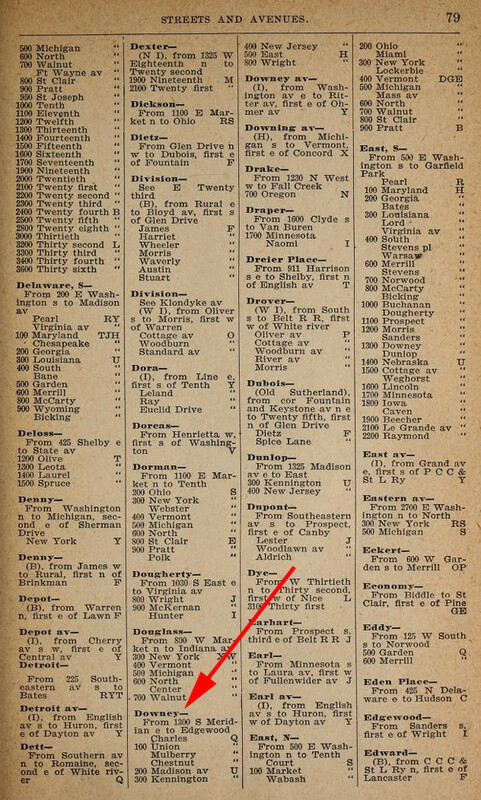 The listing of births in The Star the following day noted the parents resided at 425 Downey. I can understand possible confusion of 411 and 417 appearing at varying times, because handwriting and the copying of old original documents can mislead. But do a Google search or an on-foot walk like I did today, and Downey (which is located in Irvington, south of Washington Street) stops after the 300’s. At that intersection Downey disappears and Burgess Avenue takes over. Researching the locations of ancestors’ homes can be challenging. 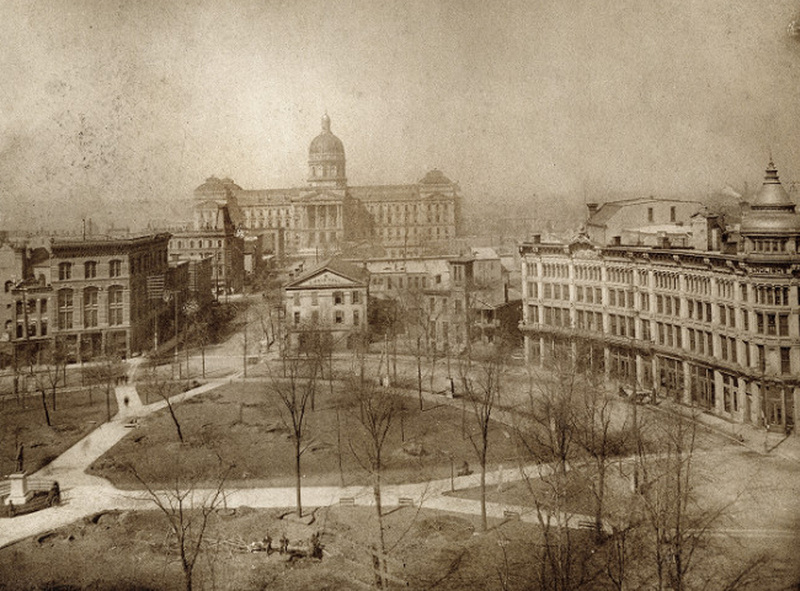 Although the center of Indianapolis was carefully laid out in 1821 by architect-surveyor Alexander Ralston, the rest of the city grew in a less systematic and more organic fashion. New streets with different names from those within the Mile Square were added in every direction. Small settlements sprang up in all nine townships of Marion County. Some were officially organized, so as to enable them to have post offices established in them. Others were never independent municipalities but were anointed with descriptive names by local residents. The streets in these villages were sometimes named the same names as the streets in Indianapolis, although they did not necessarily connect to one another. As the city limits extended farther and farther from the core, and as these once remote places began to adjoin one another, it became evident that more consistency was needed in both the naming of streets and the numbering of addresses. 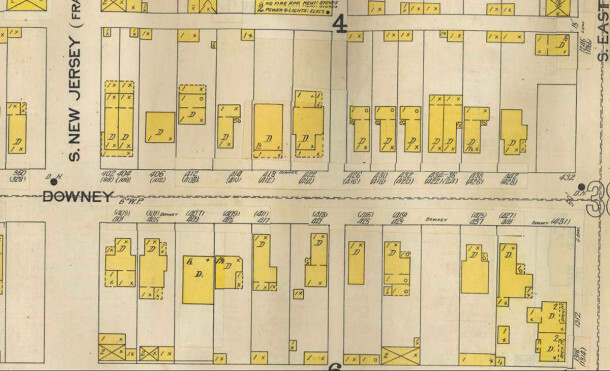 Indianapolis began to grapple with this issue in the late 1890s, adopting conventions for both the naming of streets and the numbering of properties. For several years at the end of the 19th century and beginning of the 20th century, street names were changed and house numbers were adjusted, so as to fall into line. Nonetheless, each time the city’s boundaries changed, name duplications and/or numbering irregularities arose. 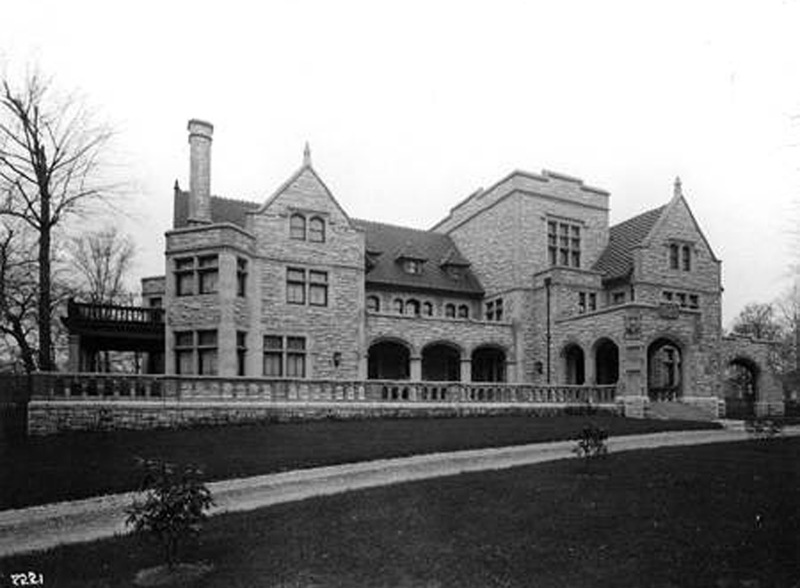 Such was the case when the City of Indianapolis annexed the Town of Irvington on February 17, 1902. One of the streets in Irvington was named Downey Avenue. Downey was the married name of Mary Julian, the daughter of Jacob Julian. Jacob Julian and Sylvester Johnson were the men who conceived of Irvington and laid out the original streets and building lots. James and Mary Julian Downey were among the people who built homes in Irvington. However, Downey was already the name of a street on the south side of Indianapolis. This earlier Downey first appeared in an Indianapolis City Directory in 1867. It was about a mile-and-a-half south of Monument Circle. It started as a short, three-block stretch between the Madison Gravel Road (now Madison Avenue) and Japan (now S. East Street), but it ultimately ran from Bluff Road (now Meridian Street) on the west to Edgewood (now Leonard Street) on the east. There was no Interstate to truncate Downey in those days. 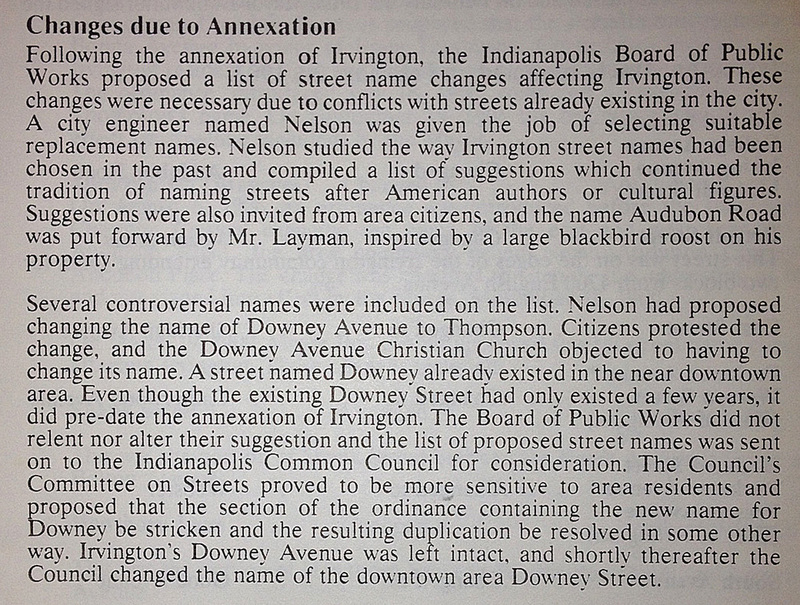 For several years after Irvington’s annexation, both thoroughfares named Downey existed simultaneously. 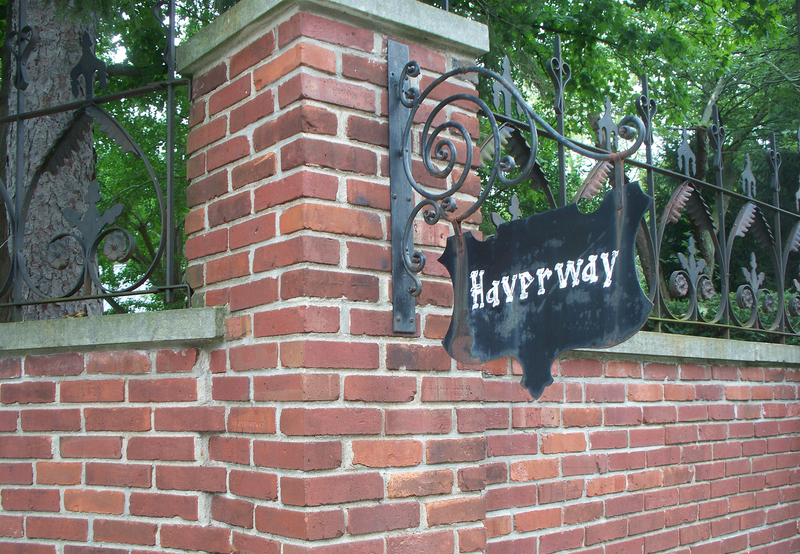 The winding north-south Downey in Irvington was called “Avenue” from its inception. The east-west Downey in Indianapolis did not have a type indicator following Downey when it was originally named, but “Street” was often added to the in-town Downey in the years after Irvington was annexed, so as to differentiate between the two. The address that is today 417 E. Orange Street was originally 411 E. Downey and later renumbered to 417 E. Downey. There is no 400 block of Downey Avenue in Irvington, nor was there ever one. 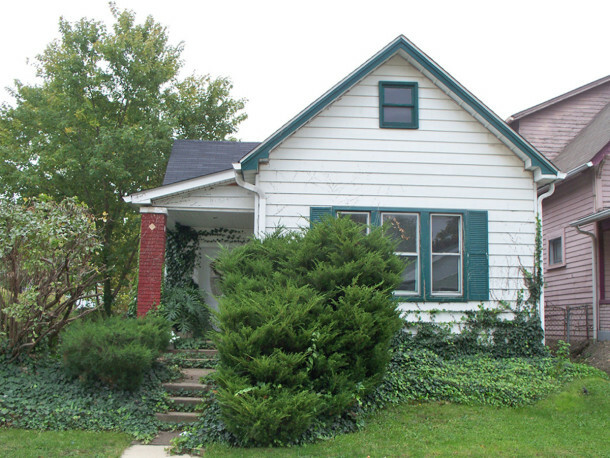 The highest address on South Downey Avenue in Irvington is 392. In 1916, Downey Street’s name was changed to Orange Street by an ordinance of the City of Indianapolis. 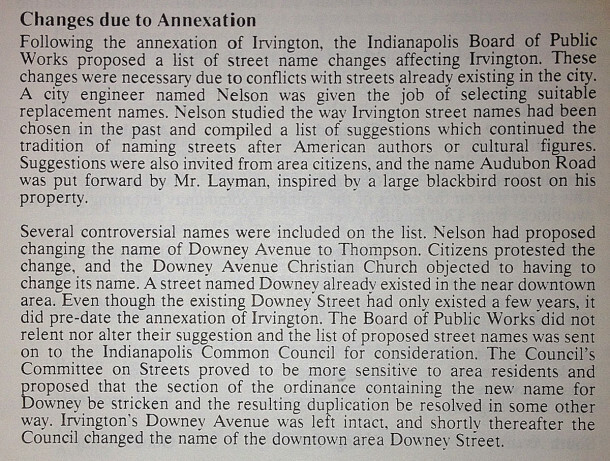 Even though the Downey south of Downtown existed before the Downey in Irvington did, the Indianapolis Board of Public Works gave in to public pressure not to change the latter. The street called Downey on which earlier generations of the Jasper and Wallman families lived was not the Downey Avenue that’s in Irvington. It was the Downey Street that was renamed Orange Street in 1916. It is located a few blocks south of the Eli Lilly and Company Corporate Center in what today is known as the Bates-Hendricks Neighborhood. All three of the homes referenced in the question still exist today, although they are now on Orange Street, rather than on Downey. They are today known as 417 E. Orange Street, 425 E. Orange Street, and 516 Orange Street. All three have been remodeled over the years. Doors have been deleted, windows replaced, decorative trim removed, and aluminum siding installed over the original clapboard. I have this very sanborn map printed out for my family. 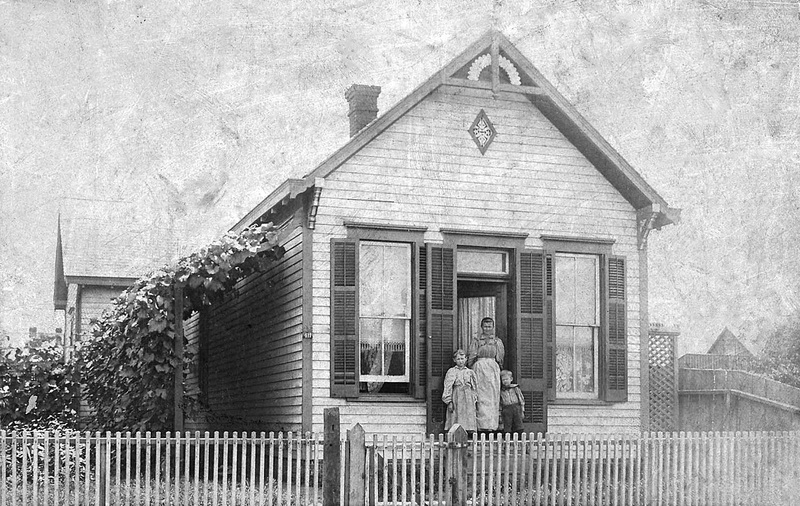 Gerard Herman Feltmann came to Indianapolis from Cincinnati around 1863 and eventually had a store at the southeast corner of Kennington and Downey (now Orange and Alabama). On this map you can see “shoemaker” on the house/store where they lived. Sadly my Great-great-grandfather’s building is gone. If anyone ever comes up with a photo of the area with the building still there, I’d love to see it. Amazing! Thanks for another fascinating look into the history of our city. Great work, Sharon. I thought the street name sounded familiar when I read this. 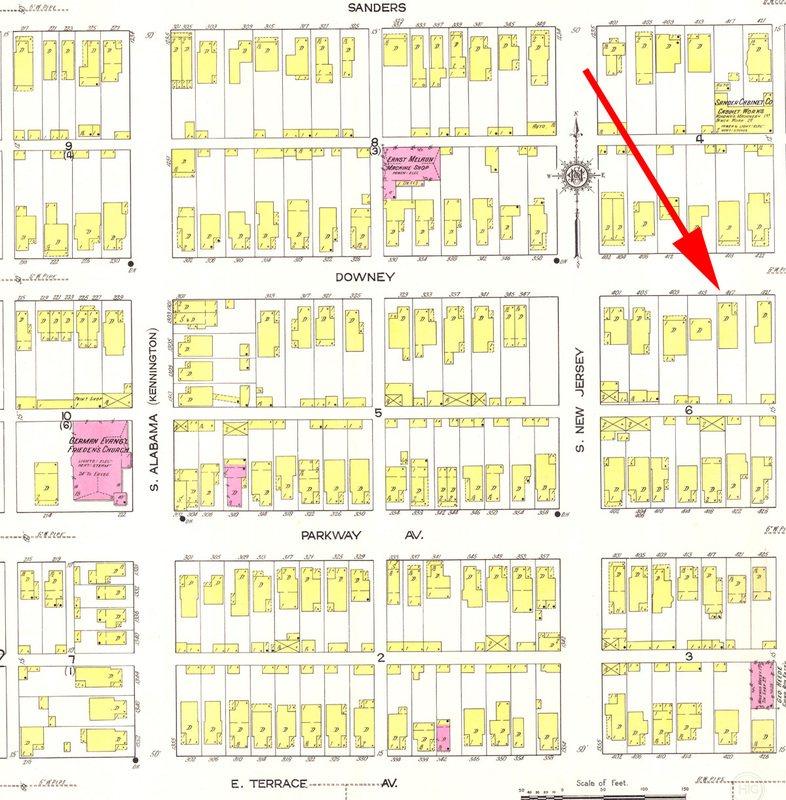 I checked my family history and sure enough, my great grandparents lived at 317 Downey in 1900. I had been unable to find a present-day street that matched, and this solves that mystery! It is right in the heart of the old German neighborhood, so makes perfect sense and near some of the other addresses that occur for family members in the late 1800s and early 1900s. Perhaps someone could tell me where Fenneman is as I have been unable to find that street either. 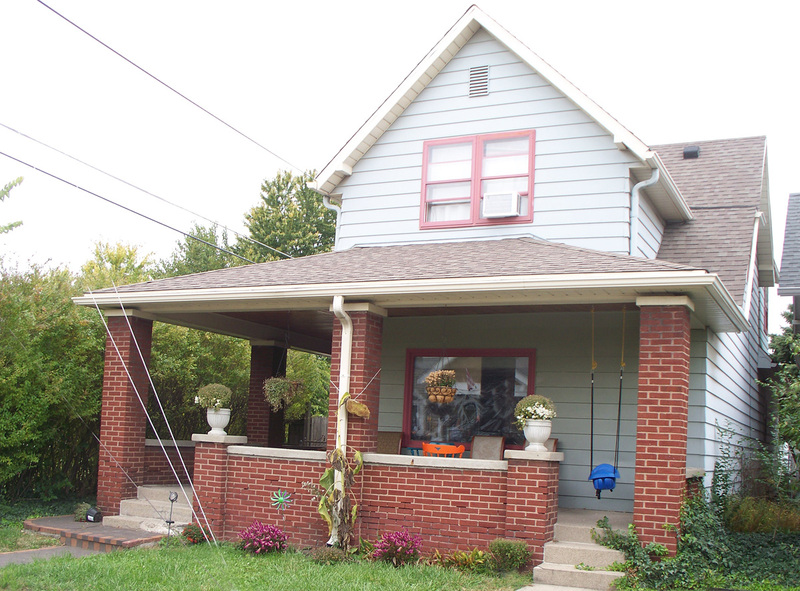 Fenneman Street was named for a German family who lived in the area in the late 1800s. Brothers Herman and William Fenneman were brick manufacturers. 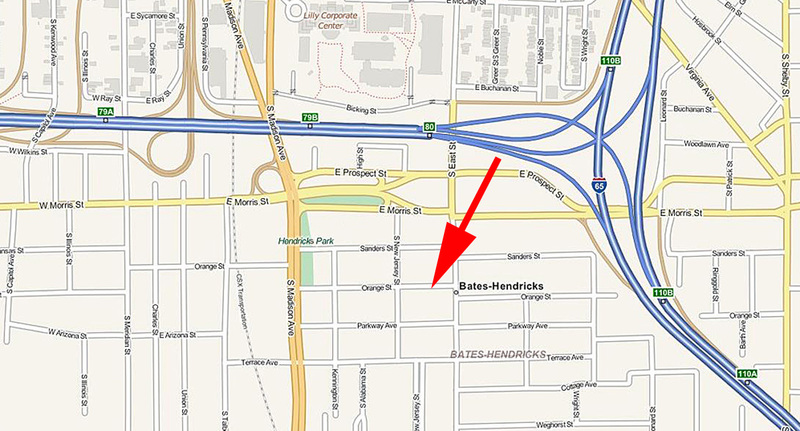 Fenneman was a north-south street, immediately west of Madison Avenue. It ran from Palmer (about 1500) on the north to LeGrande Avenue (about 2100) on the south. It was renamed S. Delaware Street about 1916 — probably around the same time that Downey became Orange Street. 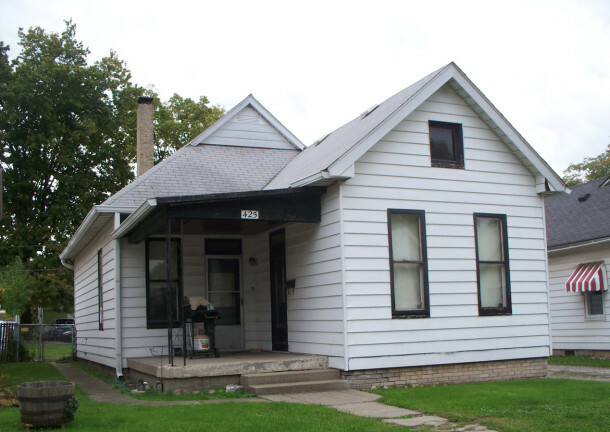 If you have an address for your ancestors on Fenneman and the same or similar address for your ancestors on S. Delaware Street a few years later, the two seemingly different locations may actually have been the same house. Some blocks of S. Delaware Street were forfeited to the interstate, but it looks as if the 1700 and 1800 blocks (where George Sauer lived) block is still intact. Thanks for this great information! 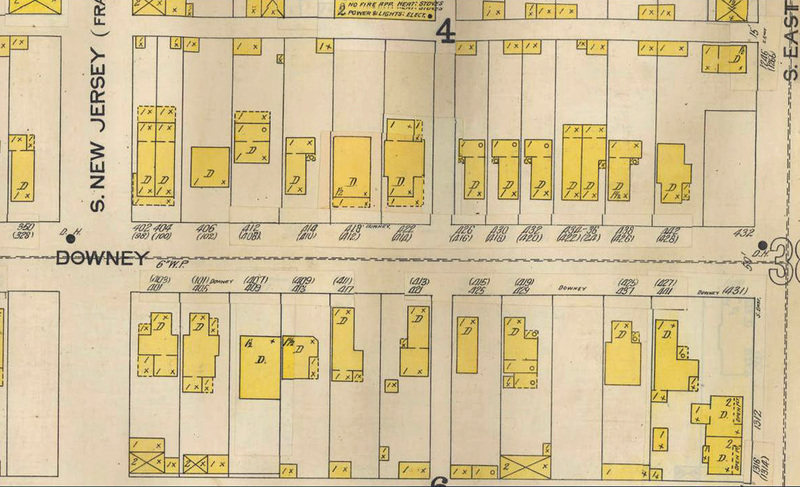 We just moved onto Orange Street and these maps provide great information about our property. I will have to look into the sources to find out more! Anyone know where ‘corner of Hanway and Madison Avenue’ was in 1896? 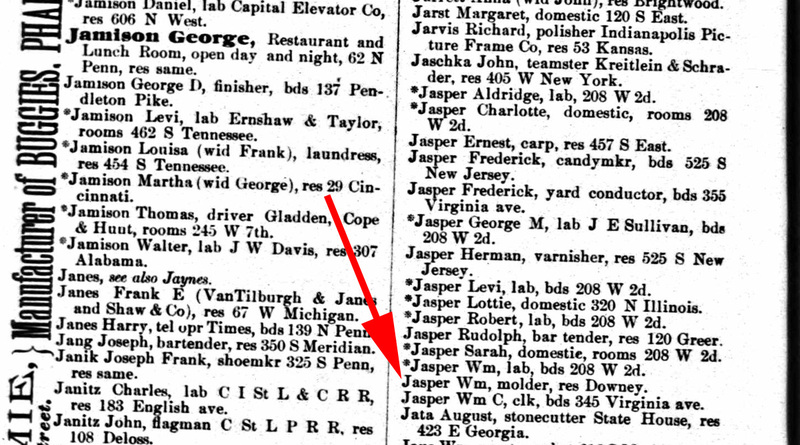 This was location of Indianapolis drop Forge [Forging] Company. was the company located in Irvington? The Indianapolis Drop Forging Company was located at 1300 Madison Avenue, on the southwest corner of what are today Madison Avenue and Orange Street. The company was founded by Kurt Lieber. 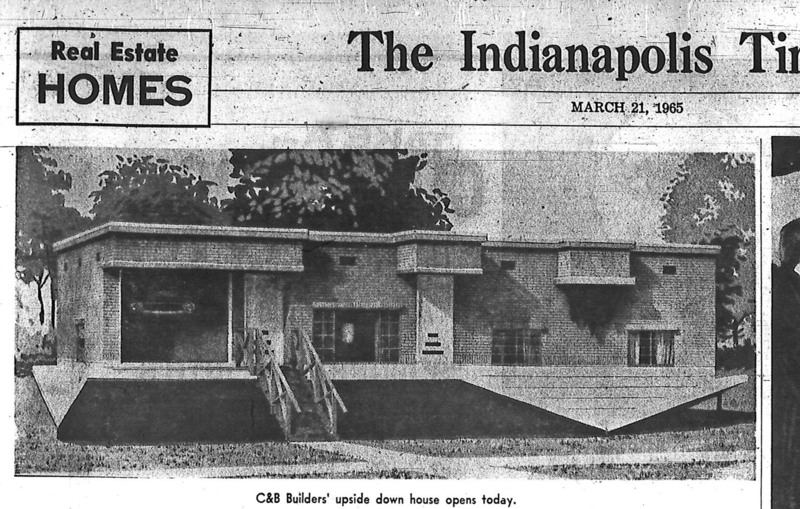 Just south of it was the Lieber Brewing Company (later called the Indianapolis Brewing Company), which was founded by Peter Lieber. Just south of the brewing company was H. Lieber’s picture frame factory, founded by Herman Lieber. 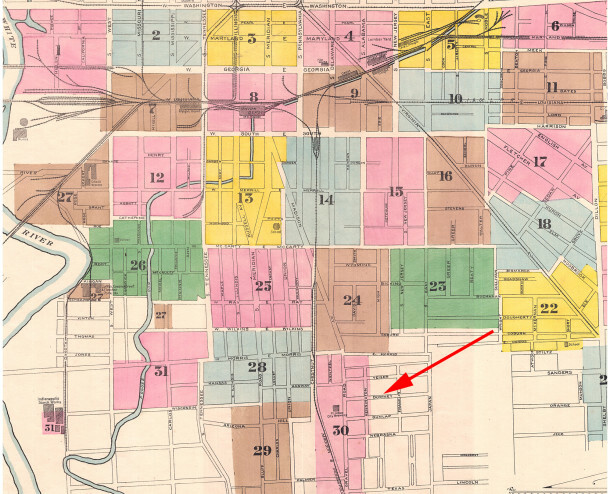 It would appear from Baist and Sanborn maps that the Liebers owned all of the land between Madison Avenue on the east and the Pittsburg, Cincinnati, Chicago, and St. Louis Railroad tracks on the west, from Hanway aka Downey aka Orange Street on the north to Lincoln Street on the south. 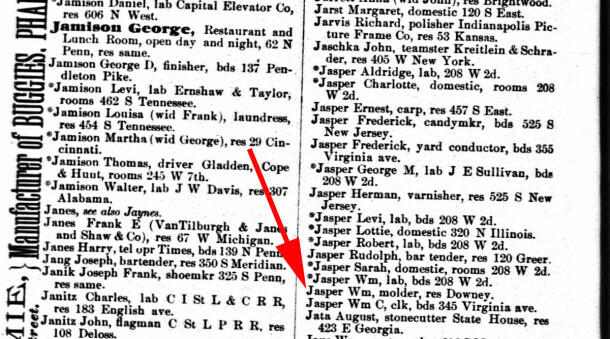 In answer to your question above, the Indianapolis Drop Forging Company was not located in Irvington.